How to make America's best barbecue ribs? Start by smoking them for 14 hours. One small restaurant that doesn’t understand small portions and where flavour dictates all. 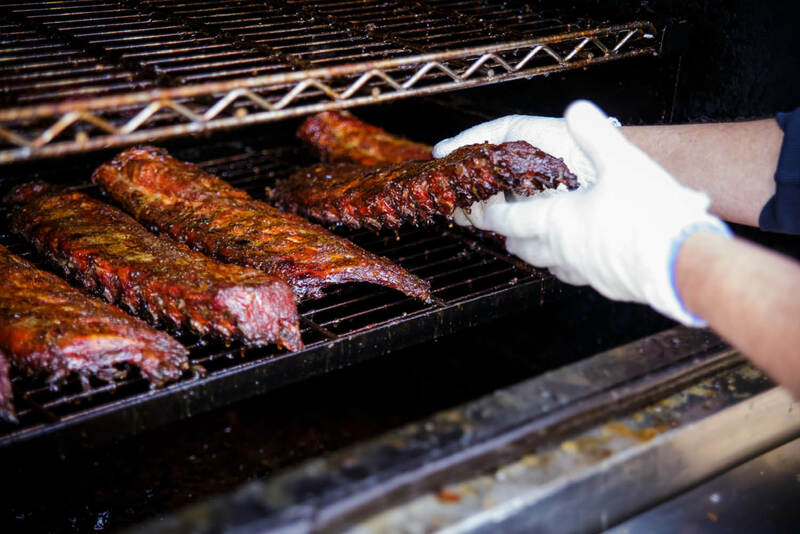 Yep, we’ve stumbled upon (officially) America’s best barbecue ribs, in a city you might not expect it from, writes Steve Madgwick. Strangely, for a bluesy, edgy city in the middle of the ‘Barbecue Triangle’, St Louis was a flavourless ghost town only a decade ago; at least in terms of barbecue restaurants to write home about. Ten years later, a supernova restaurant in its Midtown crowned the city’s monumental rise from the culinary wasteland by claiming the title of the ‘best barbecue ribs in America’ (as voted by the guzzling gourmets of the Food Network). Pappy’s Smokehouse first served its Memphis-style fare back in 2008, when Midtown was a decaying old business district full of dilapidated warehouses (now filling with micro-breweries and cool eateries). It started as it meant to continue; doing the fundamentals well, nothing fancy. But it takes more than maxims to create award-winning flavours. So, how do you go about making America’s best barbecue ribs? Start with loin back ribs, which are similar to baby back ribs, but with more fat (read: flavour). Then, throw a little curve ball by using a ‘dry’ rub (instead of ‘wet’) packed with hush-hush herbs and spices. With 20 minutes to go, glaze said ribs in brown sugar syrup and allow it to caramelise sweetly. Apart from paprika, salt, pepper, the remainder of the Pappy’s recipes are throw-away-the-key secrets. Even the company that makes the glaze base has no idea what else gets added to it. By this stage, the ribs have already been inside ‘Walter’ for 14 succulent hours, smoking over sweet apple or cherry wood. Who’s Walter? He’s one of six 120-rib smokers that congregate out the back. Around these parts, it’s customary to name your smoker (after a friend, on this occasion). In fact, it’s plain weird for a smoker to have no name. Lastly, feel free to enhance America’s best ribs with one of Pappy’s house-made sauces, like the Hoodoo or Jane’s Sweet Sauce, apparently as sweet as owner Mike’s granddaughter (Jane). Just behind the ribs in popularity are Pappy’s (unusually) thinly sliced medium-rare brisket (smoked for 23 hours at 180 degrees), and its pulled pork. There is one element Pappy’s fails badly at: portion control. Quite simply, there are no small portions here. Barbecue is certainly not a flash-in-the-pan fad in St Louis like it has been in other cities across the globe. To put into perspective just how popular Pappy’s has become, that meat sells out every single day, often well before the 8pm closing time. When it’s gone it’s gone. Pappy’s regulars, some of whom feast up to three times a week here, cut across St Louis society, from business men and women to construction workers and from travellers to students from the two nearby universities. Typically more than half of its customers each day are either first-timers or people who’ve been in before but are from out of town, including a few you may know: the likes of Hugh Jackman and Pharrell Williams. Of course, cool stuff on the walls and kick-arse music is all part of the barbecue experience. Pappy’s décor pays homage to the four Bs of St. Louis: barbecue, beer, baseball (the Cardinals) and (local) blues artists, such as Chuck Berry. So what enticing new developments are on Pappy’s barbecue horizon? None really. 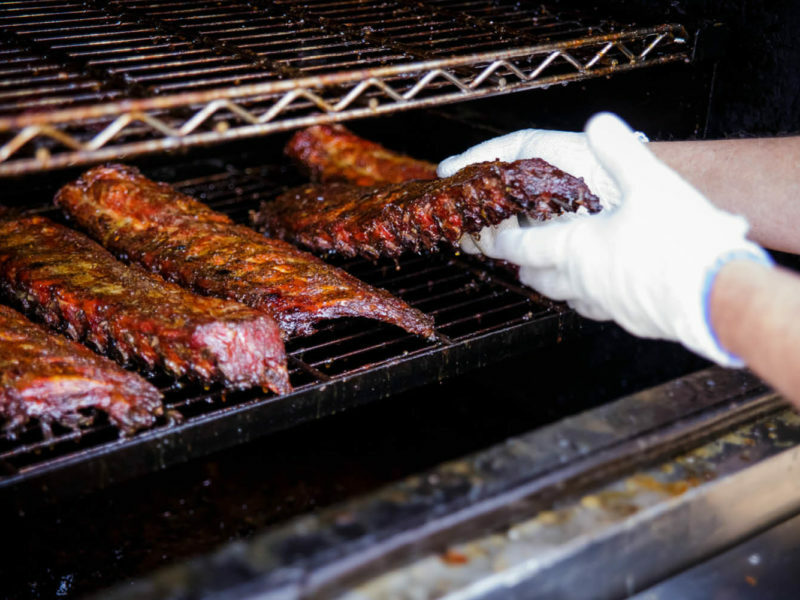 No need for a revolution here, when you make America’s best barbecue ribs. Tom’s just happy to have St Louis barbecue mentioned in the same sentence as that from Memphis, Texas and North Carolina.